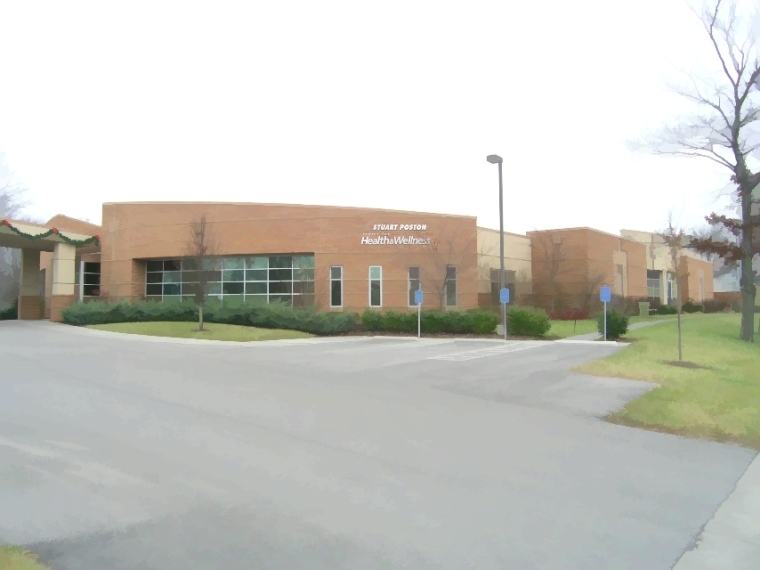 Stuart Poston Health and Wellness Center for Murray / Calloway County Hospital, Murray, Kentucky. This was a competitively-bid project. Steel columns, metal joists and roof deck, metal stud walls, E.I.F.S. and brick veneer exterior, cast in place concrete slab. Built by Cleaver Construction Company and various subcontractors.